Ants, the tiny insects that we usually try to get rid of in our homes are being showcased through research out this week that highlights these fascinating little creatures. Not only can they carry 50x their own body weight, but they have incredibly sensitive hairs on their antennae which allow them to smell food, follow pheromone trails and communicate with other ants. Being a small insect, that lives underground, ants spend a significant proportion of their time just keeping clean, and it’s is especially important that they keep their antennae clean otherwise they will lose their way. Until now no-one has really looked at the mechanism behind how this cleaning process works and how we could copy it to help clean nanoelectronics. 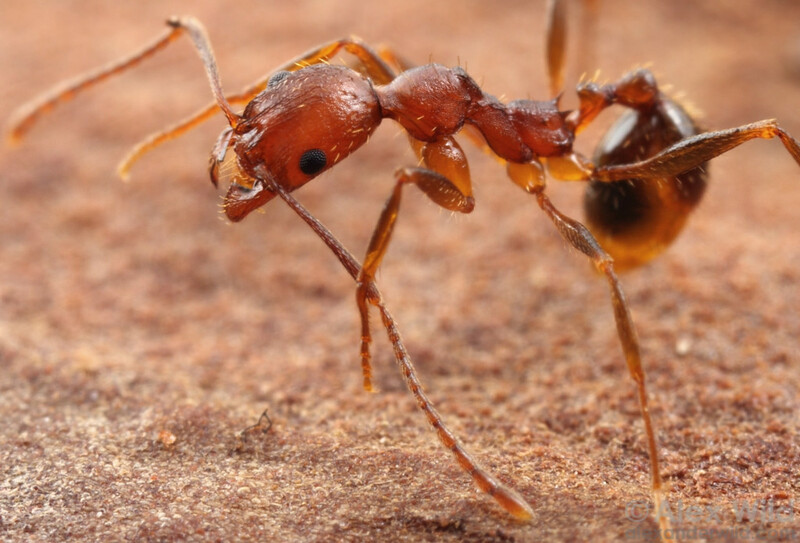 Researchers from the University of Cambridge have found that Camponotus rufifemur ants have a specialised cleaning structure on their front legs that is highly efficient at removing different sized particles. The ant system consists of a notch and spur with three levels of hairs which the antenna is pulled through. By watching the cleaning mechanism under a scanning electron microscope, they found that the three clusters of hairs work together to each perform a different cleaning function. 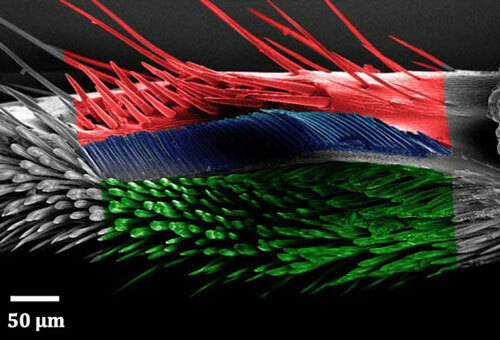 Initially a set of ‘bristles’ (red on image) scratch away the largest particles on the antennae, then a series of ‘comb’ hairs (blue on image) remove smaller particles and finally a ‘brush’ (green on image) area gets rid of the smallest particles. The arrangement of three sets of hairs means the cleaning structure work as a particle filter that can clean different sized dirt particles with one single cleaning stroke and could help to solve some of the surface contamination issues faces in modern nanofabrication techniques which currently have to be carried out in expensive cleanrooms.